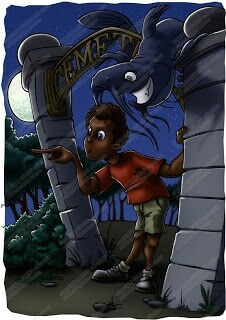 Some time back I was involved in developing a children’s book. This meant I had to develop all the artwork based on content. 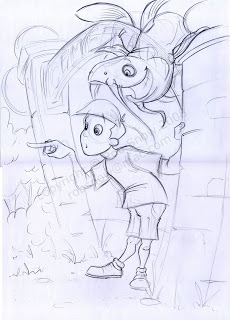 This is the initial sketch developed for the story of a magic Catfish that took a boy on a midnight adventure. There were several issues with the drawing; legs too short, needed to be black boy, etc. 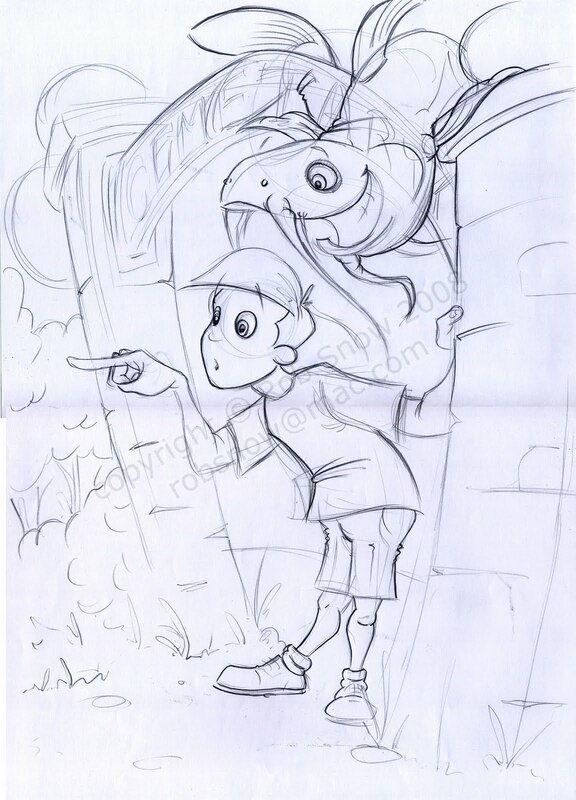 However, these were corrected and the final was completed in photoshop to allow some texture manipulation. This can be seen below.